ITAC offers a comprehensive range of quarantine solutions specifically designed to meet the demanding requirements laid down by the Australian Quarantine Inspection Service (AQIS). The AQIS regulatory regime is amongst the most rigorous in the world, with the Australian Government reserving the right to re-export any cargo that is not deemed fit for entry into Australia. To ensure compliance and to avoid the potentially significant costs involved in the re-export and re-import of cargo, the ITAC team is dedicated to perfecting every aspect of your shipment – first time, every time. All cargo is treated in a manner that strictly accords with AQIS requirements. This enables ITAC to reliably deliver your equipment quickly and efficiently thereby minimising time to revenue. Before any goods leave the point of departure, the ITAC team can offer expert technical advice on AQIS regulations and any necessary cleaning and inspection services. Our dedicated professional team also travels the globe to provide quarantine risk analysis for specialised projects, break-bulk consignments and general cargo. ITAC offers a comprehensive reporting process that includes detailed analysis and photographic survey. We can also provide you with site supervision, both pre and post-shipment, in order to reduce the risk of a re-export order. ITAC offers a high security portable wash bay of 7750 M3. Our superior quarantine-approved facilities incorporate two inspection areas, a fumigation pad and a wash bay. These facilities enable the ITAC team to safely discharge your cargo and provide Customs and Quarantine inspection, treatment and clearance directly on the wharf. This in turn eliminates the otherwise necessary cost of transportation to a separate quarantine area. 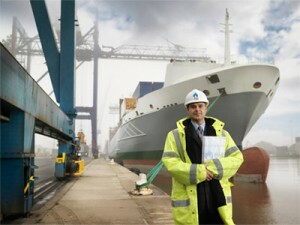 ITAC’s specialised staff are Maritime Security and QAP accredited. They remain present during the entire washing process until all items are released with both Australian Customs and Quarantine clearances. ITAC’s combination of extensive knowledge and experience of worldwide Customs regulations together with superior local expertise facilitates the smooth travelling of your international shipments. Our aim is to achieve regulatory compliance with maximum efficiency. Effective technology, established procedures and solid relationships with Customs and other regulatory authorities worldwide will ensure that your goods are delivered as and when expected. Our customs clearance begins while your shipment is still in transit. Through our electronic links with Customs in major countries throughout Europe, Asia, and the Americas, ITAC clients benefit from quick and automated clearance approval for all shipments. Our in-house brokerage experts consistently monitor the latest import/export regulations and are well equipped to meet any and all of your Customs brokerage needs. ITAC also has bond store facilities for any trans shipment or under-bond cargo arriving or passing through Australia.